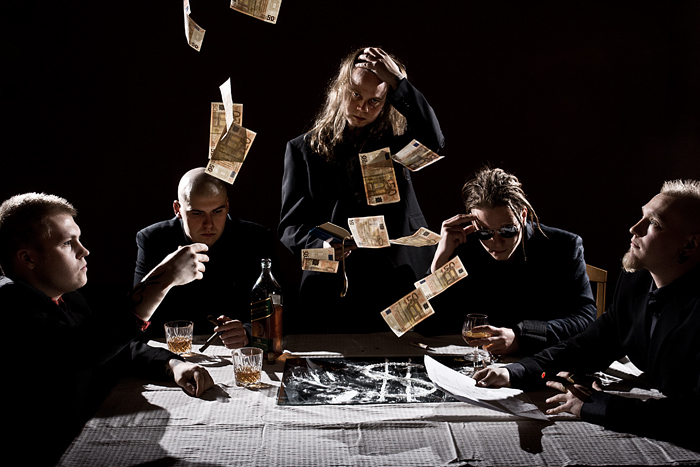 Re-Armed have been up since 2001, when five guys in Kerava, Finland decided to start playing music similar to so-called "Göteborg metal". Their musical style has evolved along with many critically acclaimed demo tapes. Becoming a style that is combination of technical, grooving death metal with thrash and grind influences, spiced up with melodic lines. Lot of gigs have been played in Finland and in foreign countries. During the years some line-up changes have occurred the band but they have still managed to grow musically, as well as individuals. Now the line-up is in order and Re-Armed is more explosive than ever. The fuse is burning, and a new charge will be detonated in the year 2011. Be sure to get your hands on the debut album, Worldwide Hypnotize. RE-ARMED SINCE 2001.